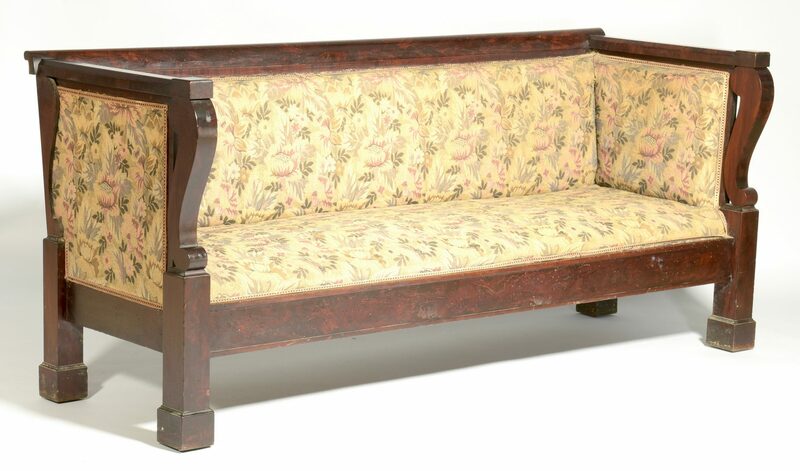 American Late Classical mahogany sofa, box form with molded crest rail and scrolled arms and feet. 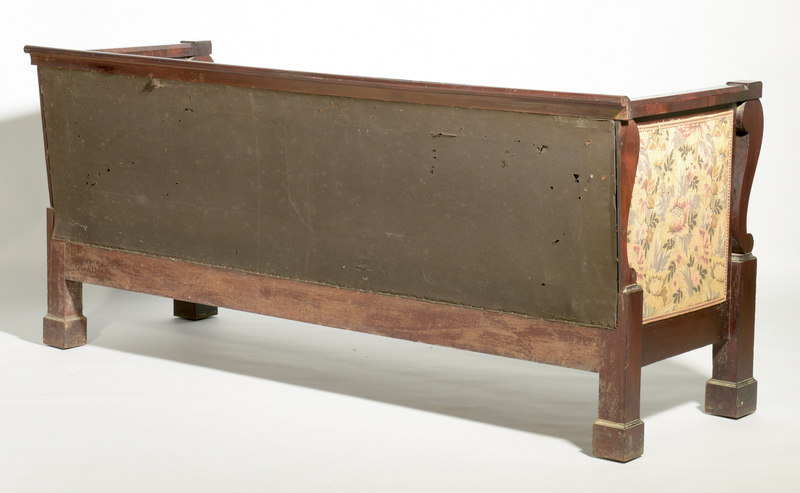 35" H x 78 1/4" W x 29 1/4" D. 2nd quarter 19th century. Provenance: The estate of Jean A. Yeatman and Harry C. Yeatman, formerly of Hamilton Place Plantation (near Columbia, Tennessee). CONDITION: Structurally sound with some old powder post beetle activity to skirt and back rail, overall general use wear. 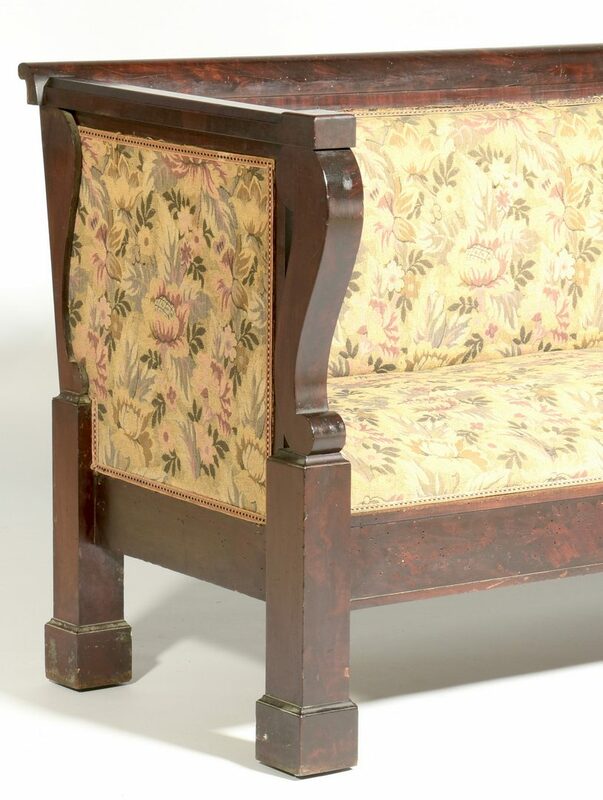 Early 20th century upholstered fabric.